"He has a pure and warm vocal, this is a great recorded song it is kinda a mix of pop music and folk"
Prior to managing music stores across the Southeast for several years, Mack appeared as a solo recitalist and chamber musician. He played three seasons at Seaside Music Theater in the pit orchestra as a guitarist, in such shows as Evita, Anything Goes, and Little Me, as well as a flamenco guitarist in Man of La Mancha. He has also worked as a studio session musician in Memphis and Nashville, Tennessee. Mack earned a Bachelor of Music Degree from Stetson University, where he was a member of the Stetson Guitar Quartet. He became a sought-after teacher in Vero Beach, Florida, and played clubs and events throughout the Treasure Coast area. Musical styles included Blues, Rock, Rockabilly and Latin Jazz. 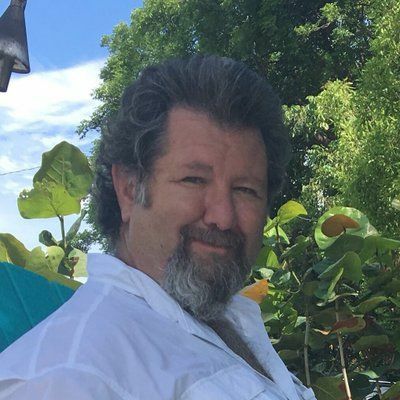 Mack Has brought his music to Key Largo, where for years now he keeps a busy schedule playing for visitors and locals at the beautiful bars and restaurants. His style has become quite a bit more tropical, no doubt influenced by the spectacular sunsets and libations. Recently, Mack had the privilege of recording songs written by Grammy-nominated songwriter Dennis Morgan, and other outstanding songwriters for his CD "Carry Me Home". It is a blend of Country, Blues and a little Rock 'N Roll. "Good music is good music in any genre" has always been Mack's philosophy.